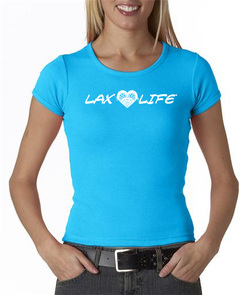 LAX LIFE® a creative and functional line of performance apparel for lacrosse aficionados and fashionistas everywhere! LAX LIFE® clothing for guys and girls is available online and at select retailers. All contents © copyright 2009-2019 PaiP, Inc. All Rights Reserved. LAX LIFE®, LAX MERMAID™ and the word marks and logos are registered trademarks and copyrights of PaiP, Inc. All other trademarks appearing in this site are the property of their respective owners.